Skiing in Israel or Iran might not be what you think of if you’ve ever skied the Rocky Mountains in Canada or the Alps in Switzerland, but as people look ahead to the winter, Green Prophet can show Middle East readers that skiers can stay close to home. While you be looking around for cheap ski holidays already online, we can propose some that are cheap, support the local economies in the Middle East and which can reduce your carbon footprint (and flights) as you find the need to ski. And as the effects of global warming set in, you might not be able to access most of these sites in the future as the snow retreats permanently. Here are our Top 5 Middle Eastern ski holidays. 1. Ski Tehran! Tired of the hordes of skiers in Europe? Then heard to Tehran. About an hour from Tehran is Shemshak, located at an altitude of 2,550m. The winter weather there offers perfect skiing: blue skies and fresh powder on the slopes. You can check into hotels right on the slopes. 2. Ski Dubai – our conscience is mixed when we recommend this choice. On one hand it seems incredibly wasteful that a dicty should support an indoor ski slope in the middle of a shopping mall when it’s 40 degrees C outside. On the other hand if the use of this slope satisfies the craving for week-long ski holidays, and their associated flights from the Middle East, the Ski Dubai option sounds like a less-carbon intensive option. Does anyone have the stats on that? 3. Mount Hermon, Israel – Israel’s Mount Hermon up high in the Galilee Region sees a good amount of small. Its medium size runs cater to children and landlocked adults looking to get their ski fix. Villages and cottage industries around the slopes are set up to cater to skiers and includes beds and breakfasts, and home cooking restaurants. 4. 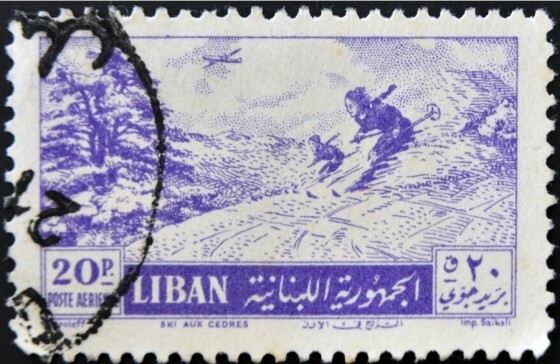 Mzaar Lebanon– this is one of six ski resorts in Lebanon, popular among skiers and snowboarders. But Mzaar Resort in Kfar Debian is reporting less and less snow every year. By 2040, Lebanon could lose 40 percent of its snow, which will not only destroy snow-related tourism, but will also have a devastating impact on groundwater aquifers usually replenished with snow melt. Ski while you can. 5. Ski Turkey! You can swim around the left side and lower part of Turkey, you can take hot air balloon rides over it, but come the cold of winter the Middle Eastern country offers some of the region’s most wonderful slopes and beautiful nature for the sport of ski! A quick online search will round up dozens of options not far from Istanbul or Ankara. For Europeans looking something a little different, Turkey is a low-cost, lower footprint alternative than heading to Canada’s great rocky slopes. Next Next post: Are Cooking Coatings Messing With Birthweights and Bodies? To make your ski trip an unforgettable one, ToIran.com offers variety of ski packages for different taste and Budget! This holiday season look for a ski adventure, come to a place you have never been before. Experience the fresh powder and let the enchanting Iranian mountains take your breath away. Enjoy an exciting ski vacation at a value price. Abundant snow, high slopes, adventure and fun await you! You will never experience skiing in the Middle East like this again! Four marvelous ski resorts within a half hour drive from one another and between 45 minutes to 2 hours from Tehran, the heartbeat of Iran. You can ski down the Alborz Mountain with a view of a bustling metropolis like Tehran so grab your ski gear and prepare yourself for our crisp mountain air and beautiful slopes. HI Patrick – thanks for the updates! Hi – I run the snow365.com website which follows indoor snow centres and the saveoursnow.com website which follows ski areas efforts on the environment (Both badly in need of updating…) so have some knowledge on both sides of the argument. For Ski Dubai there are no precise stats and its obviously oil rich, retail driven so not sure how profitable it has to be (or if they can afford to lose moiney through waste by using it as a sales tool to get people in ther attached giant mall) BUT just to add some food for thought on these giant indoor fridge snow places (and there are 60 operatring in 25 countries now) I’ve asked a few about the environmental impact and they point out that in terms of turning a profit and staying in business theyt HAVE to be low energy and very efficient as if they spent a fortune on refrigeration they’d gfo bust. So they’re very low energy, very well insulated. I’ve also seen a big one in Germany installed solar panels on their(vast) roof and has gone 100% solar powered. Others in the Newtherlands offset their energy and quite a lot recycle the heat their refrigeration machines make to warm other parts of building (Not so userful in Dubai…). Well researched article by the way, I also research ‘regular’ ski areas (of which there are 6,000 in 80 countries) and you got all the main places in the Middle East. The places in Iran are among the 10 highest in the world (along with some in Colorado). The one in Israel just closed (temprarilly) as it’s on land they took from Syria in the 1960s war and is a flashg point in the current Syrian civil wart. Turkey is really spending big on ski areas. They have about 20 now with plans for 50 and two of them (Palandoken and Erciyes) have some swish new lifts.